The cold season is approaching, the wardrobe is renewed and with it the beauty case. Here then are the latest in house Chanel, nails polish that are already trend: Alchimie, Elixir and Mysterious. 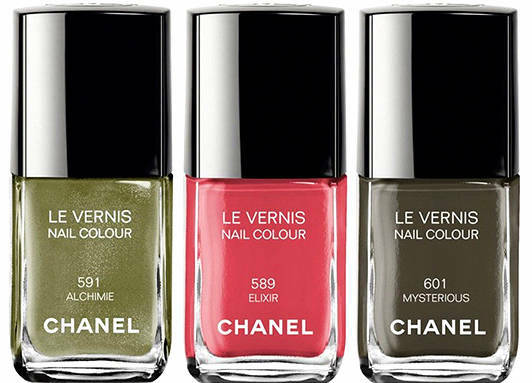 Le Vernis Chanel link on khaki tones without forgetting, however, the shades of pink. Alchimie, a golden khaki, metallic, destined to become a must among fashionistas. Elixir, a milky pink, super feminine and perfect for the fair complexion. And finally Mysterious, a variant of the color khaki but decidedly darker. Will certainly be happy all the fashion addicted lovers of camouflage, and women who have opted for accessories with military prints for spring /summer just passed, because according to the maison will be khaki, at least on the nails, the color trend! La stagione fredda si avvicina, il guardaroba si rinnova e con esso anche il beauty case. Ecco allora le ultime novità in casa Chanel, gli smalti che fanno già tendenza: Alchimie, Elixir e Mysterious. Le Vernis Chanel puntano sulle tonalità khaki senza dimenticare, però, i toni del rosa. Alchimie, un khaki dorato, metallizzato, destinato a diventare un must tra le fashioniste. Elixir, un rosa milky, super femminile e perfetto per la carnagione chiara. E infine Mysterious, una variante del colore khaki ma decisamente più scuro. Sicuramente saranno contente tutte le fashion addicted amanti del camouflage, e le donne che hanno optato per accessori dalle stampe militari per la primavera/estate appena trascorsa; infatti secondo la maison sarà proprio il khaki, almeno sulle unghie, il colore di tendenza! 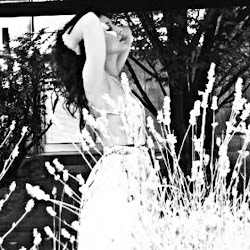 Direi che mi piacciono tutti, adattissimi alla stagione fredda! Forse Alchimie! Belli tutti però! Che belli gli smalti Chanel! Magari sarò banale ma a me piace molto elixir! Elixir! I like that colors! I might as well grab some nail polish tomorrow! Il Chanel 589 mi piace molto! Great colors! Would really love to have my own Chanel polish!